After opening up its Power PC architecture last August, IBM on Wednesday unveiled a new line of servers built to challenge Intel’s x86 architecture inside the data center. IBM said it will deploy those servers in its SoftLayer cloud. IBM and other members of the OpenPower Foundation, which will manage the Power architecture, also showed off a white box server built by Tyan that was running firmware and an operating system developed by IBM, Google, and Canonical. Taken together, these and other announcements made today around the OpenPower Foundation are an effort to keep the Power architecture relevant and to provide a piece of silicon that IBM is hoping can handle big data — the next generation workload everyone’s salivating over in the infrastructure world. With that in mind, IBM’s new line of Power Systems servers were built on an open instruction set — much like what Facebook has built with its Open Compute efforts for servers and storage, but at the chip level. It’s a similar strategy to what ARM has done by making its IP cores available for license, only IBM is even giving up the licensing revenue. This means any chipmaker could build a processor using the Power instruction set without paying for the underlying IP. The new silicon, called the Power8 processor, is a massive 12-core processor that has an open interconnect so it can run with other processors, such as graphics processors (Nvidia is member of the OpenPower Foundation) and FPGAs (field programmable gate arrays). This concession to a heterogeneous computing environment is a significant one, especially as large webscale providers such as Google, Facebook and Microsoft look to customize their hardware for their data center workloads. This isn’t some newfangled chip design. 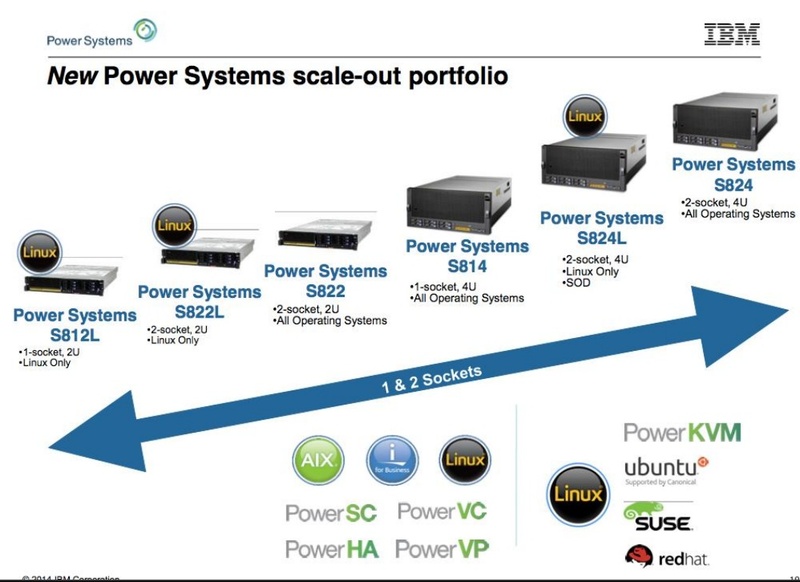 The Power architecture has been around since 1990, appearing in servers, Apple’s computers until it made the switch to Intel in 2005 and other machines. However, the question before IBM and its partners in the chip industry is whether it can become a viable server for the market. People trying to build on the Power8 architecture will need chip design expertise that goes beyond a CPU, such as incorporating networking on-chip and between chips, other components found on a motherboard and then manufacture them. Any company building a box would also need to build firmware and a link between the Power architecture and today’s data center software. The Tyan box is a good start to this effort, and IBM’s own servers are using the technology. IBM said the new IBM Power Systems are capable of analyzing data 50 times faster than the latest x86-based systems. However, benchmarks are the most fungible of stats, and I’m sure Intel could find a use case and workload to dispute IBM’s data. But this new architecture and business model around Power is not just about trying to build a chip that processes data faster. Other companies from Tilera to Intel are all trying to market chips and architectures that can analyze data faster or within a lower power envelope. Demand for workloads including everything from storing data in Hadoop clusters to analyzing it has infrastructure vendors all rushing products to market. The question is whether opening up Power and signing up some powerful friends can propel the architecture into the mainstream for data center customers that need to crunch data. Today’s news is a great start, but it’s the follow on from IBM’s customers and its partners that will determine the Power architecture fate. This makes a lot of sense since IBM is the current leader in optical chip interconnects. Um Stacey? The quote was that IBM historically has been UN-able to …, not “able to”!! Karl, thanks for bringing this to my attention. It’s changed. Um you blew it. The quote was that IBM historically has been UN-able to …, not “able to”! !